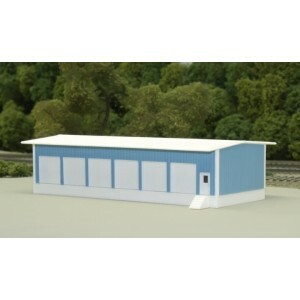 Dimensions: 30 X 80 Scale Feet : Inches 2-1/4 X 6 X 1-1/2 tall. Building shown 16 scale feet tall plus 4 foot concrete foundation. Total height 20 scale feet . Side walls have door openings provided as shown. Solid walls have cut lines for optional door and window openings. This kit is designed with cut lines on the back side of the walls so that you can choose the height of the building. Walls are 24 scale feet high with cut lines to produce a 20, or 16 foot tall building. Back side of building is a mirror image of side shown. Small door and steps are on the left hand side of building. 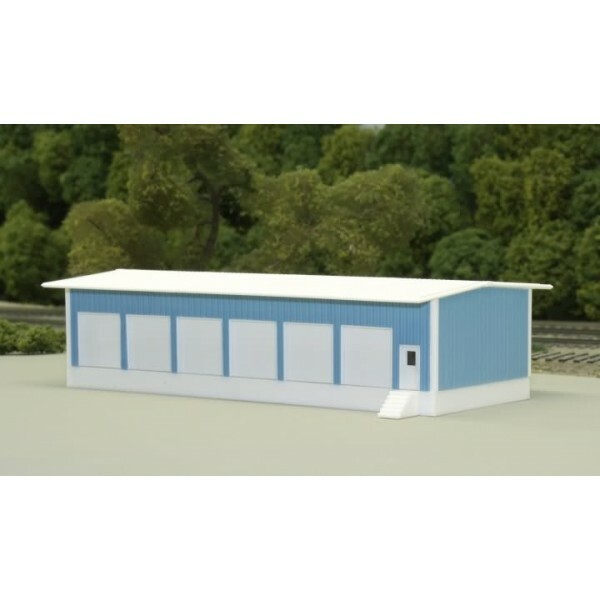 This kit can easily be added to any of our other Pikestuff N scale kits. With or without the concrete foundation. Use the concrete foundation on any of the Pikestuff N scale kits. Kit includes doors, windows, concrete foundation and steps.